Rohan Silva is co-founder of Second Home, a social business that supports job creation and entrepreneurship. Rohan was previously senior policy adviser to the British Prime Minister, where he worked across all areas of policy, but was particularly passionate about enterprise, innovation and technology. He was responsible for developing key policies to improve the environment for enterprise in the UK, such as the Entrepreneur Visa, Entrepreneur Relief, angel investment tax breaks, and the government’s Open Data agenda. In addition, Rohan created the government’s Tech City initiative, which supports the growth of the technology cluster in East London, and also created the government’s Life Science Strategy in 2011, as well as the follow-up strategy in 2012 focused on genomics and bioinformatics. 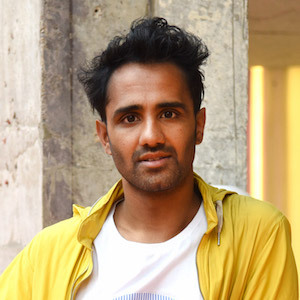 Rohan is a senior visiting fellow at the London School of Economics, an honorary fellow of the Royal College of Art and a World Economic Forum ‘Young Global Leader’. London Town or Global City?